Stan Irvin maintains a studio in central Austin as well as in the Texas coastal town of Rockport. He is a Professor Emeritus from St. Edward’s University where he began the ceramics program in 1976 after starting the ceramics program at Laguna Gloria Art Museum. At St. Edward’s he taught primarily ceramics and clay figure sculpture courses. 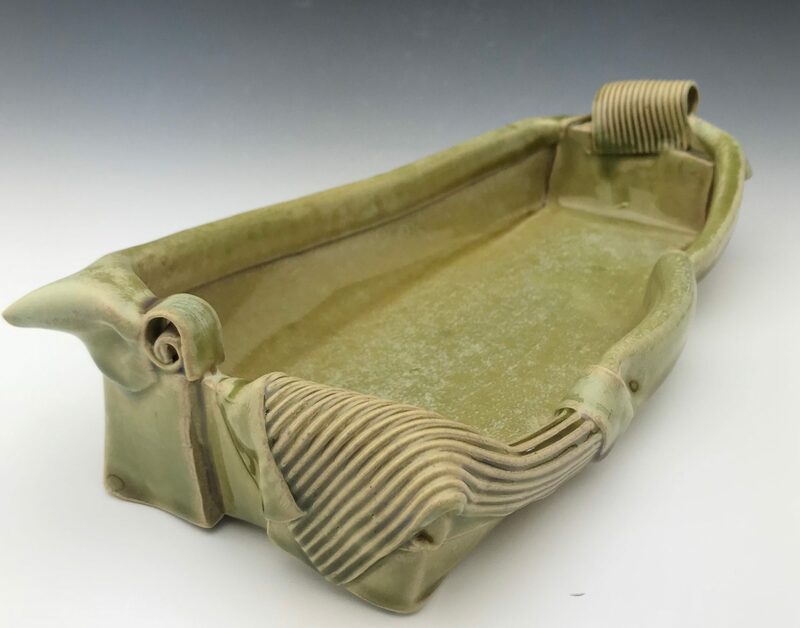 Stan specializes in altered, wheel-thrown vessel forms and more recently with printing on clay. In the Austin area, Stan’s work can be seen at Austin Pottery and at his annual December show. In Rockport, Texas, his work can now be seen at his gallery adjacent to his downtown studio. Other places you can find his work includes the Texas Clay Festival, the annual Greater Austin Clay Artists show, and various Texas shows throughout the year. Stan also teaches a variety of pottery workshops in Austin, Rockport and around Texas. Some past awards include First Runner Up in the 2017 Best of Texas Clay Show, Best of Show at the Greater Austin Clay Arts Association and first place in the Texas Teapot Tournament. His work has been included in numerous state and national juried competitions, as well as the Art of the Pot studio tour in Austin. When not in his studio, Stan can be found out sailing on the Texas coast.